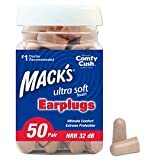 / What are the best Shooting Range Ear Plugs? A trip to the shooting range must be really prepared for. Aside from guns, ammunitions, and a change of clothes, the most important thing you should take with you are shooting range ear plugs. These small devices pack a punch of protection and would block noise over what our normal hearing can take, which is at 85 decibels. If you are planning to purchase your first shooting range ear plugs or going to replace your existing ones, check out this article for the different types of ear plugs out there and for reviews of the best shooting range ear plugs in the market. ​What are the types of shooting range ear plugs? Designed specifically for use in the shooting range, this gives maximum protection for continuous noise, which is normal in shooting ranges. It comes in two ends: The yellow end for instant protection against weapon noise while the olive end is for passive protection in constant noise at 22 decibels. 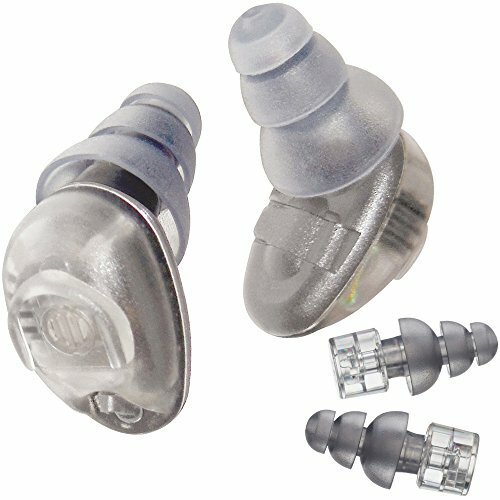 ​This is a very effective yet affordable shooting range ear plug that is comfortable to wear and can be easily cleaned for future use. With the right maintenance, this will last you months of use in the range. ​If you plan to use bigger caliber weapons, consider using it with muffs for maximum protection. Ear plugs will cover your hearing completely, but not when this is worn. It comes with microphones that reinforce sound below 85 decibels so you can join in conversations and hear movements. Although this product is intended for music use, this is perfectly fine for wearing inside shooting ranges. It has the ability to provide full protection from noise up to 120 decibels, making it a perfect buddy in the shooting range. It also comes with a neck cord so you don’t lose your precious electronic ear plugs for shooting range. ​​These electronic ear plugs are very expensive yet great if you want to maintain hearing while in the shooting range. These custom-molded ear plugs are great for people who want a snug fit in their ears that won’t feel uncomfortable. Because it will easily take the shape of your ears, it would feel as if you’re not wearing anything, like second skin almost. ​It is very soft just like the disposable foam ear plugs but this one is washable so you can use it as many times as you want. This will save you money in the long run because of reusing. ​When it comes to its effectiveness in the shooting range, it can minimize noise that is deemed harmful to your hearing but may not be effective against large caliber guns that go over 160 decibels. 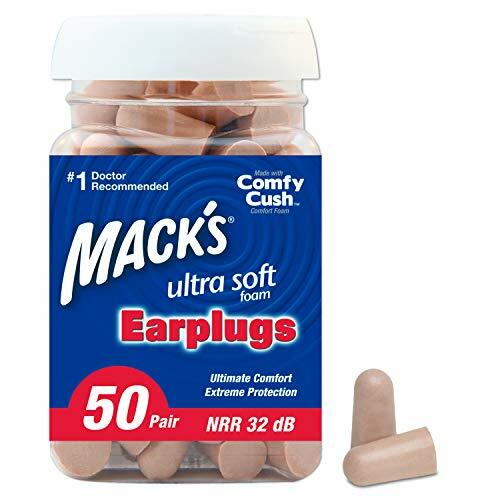 This is the best type of ear plugs for going on a day of shooting at a range, especially if you are tagging along friends and family who want to join in the fun. This is because electronic ear plugs not only provide safety for the wearer while it blocks noise, it also allows them to hear ambient noise, conversations, and movements. This is because electronic ear plugs come with microphones that capture sound below the 85 decibel mark. Through this, you are allowed to join in conversations while you are shooting, without compromising protection for damaging levels of noise. You don’t have to worry about noise seeping through the ear plugs because it provides automatic protection when it comes to hazardous noise levels. This is very efficient to use because you don’t have to remove ear plugs from time to time when you need to talk to someone. Doing this frequently might risk losing your ear plugs. The only downside of electronic ear plugs is that they’re expensive and very few companies make them. This is another great pair to take to the shooting range ear plugs if you want something that is cheap and hassle free. You don’t have to worry about hygienic concerns because after usage, you can just throw the pair away. This is also really cheap, but doesn’t compromise quality. You can get foam earplugs per pack, with each containing about 30 pairs for less then 10 dollars. Made from foam, these disposable shooting range ear plugs takes the shape of your ear. You don’t have to worry if it would fit your ear because it slides in easily, no matter what the size of your ear canal. It is also versatile; you can use it outside of the shooting range, for doing household chores for instance or for sleeping. The only downside is that it may not provide enough protection especially in shooting ranges where there are tons of other people firing loud shots at the same time. However, it may be used as additional protection when wearing muffs. Compared to the disposable foam ear plugs, this one gives more protection and are really created for protecting against noise in the shooting range. It has more Noise Reduction Rating, which is good for muffling the sound of simultaneous gunshots and much more effective when worn with a muff. The material is usually made of medical-grade polymer that makes it soft and hypoallergenic. 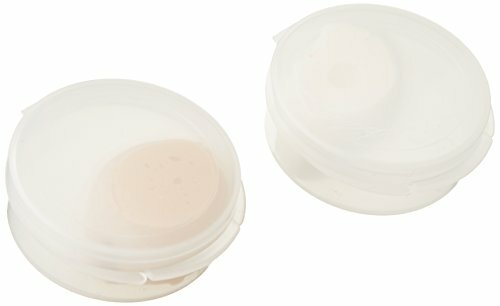 With the maintenance and cleanliness, this type of shooting ear plugs will last for a long time, helping you save money. Reusable ear plugs mostly come in sizes so you need to pick the one that best fits your ears for maximum protection. ​Whatever ear plugs you pick, make sure that they are not only comfortable but also effective at blocking harmful noise levels so you can maintain perfect hearing even after taking regular trips to the shooting range. Hearing is one of the most important senses we have and it should be preserved and protected.